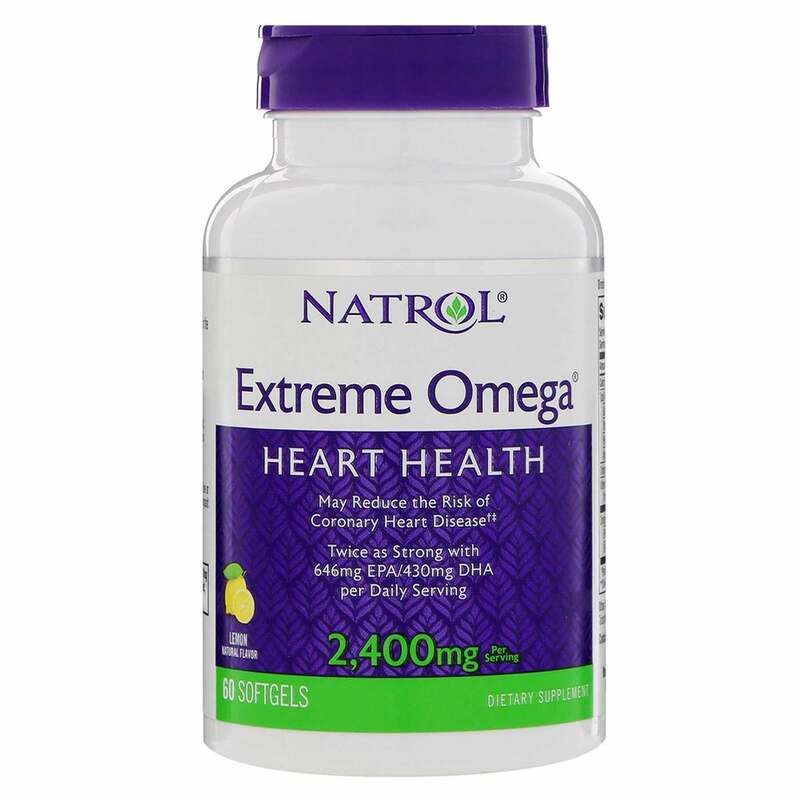 Natrol's new formulation of Extreme Omega includes MEG 3 fish oil with added natural lemon oil to ensure a great tasting lemon flavor. 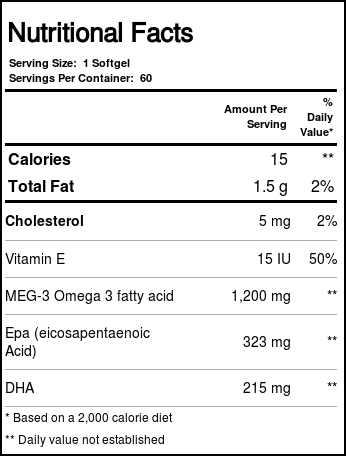 MEG 3 brand fish oil is USP verified by the US Pharmacopeia and is molecularly distilled to remove pesticides, PCPs and heavy metals. 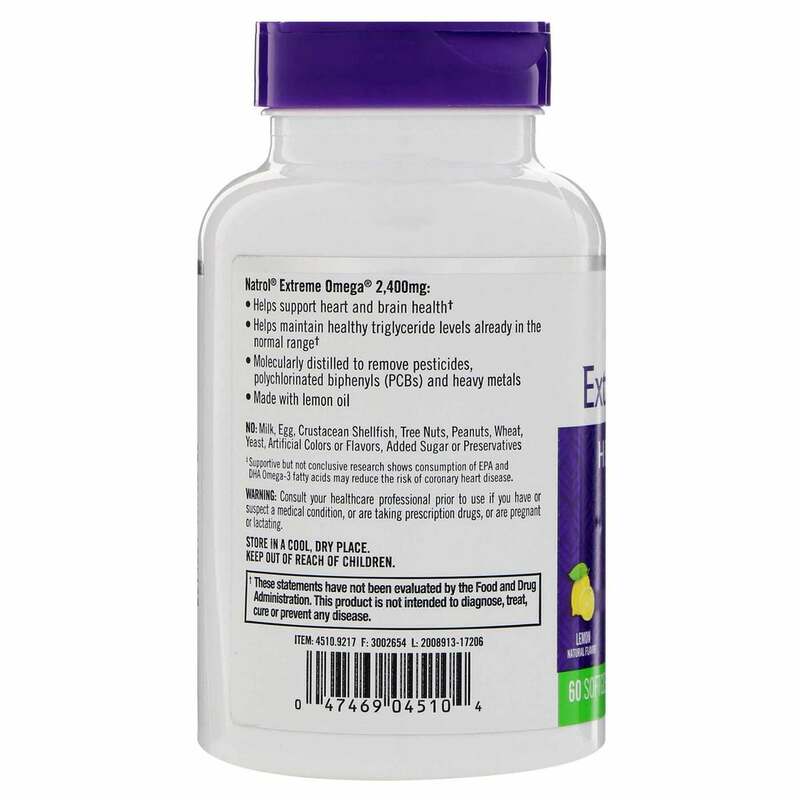 A daily serving is formulated to contain 2,400mg of Omega 3 fish oil with a higher level of EPA and DHA fatty acids, which are essential for maintaining a healthy balance. 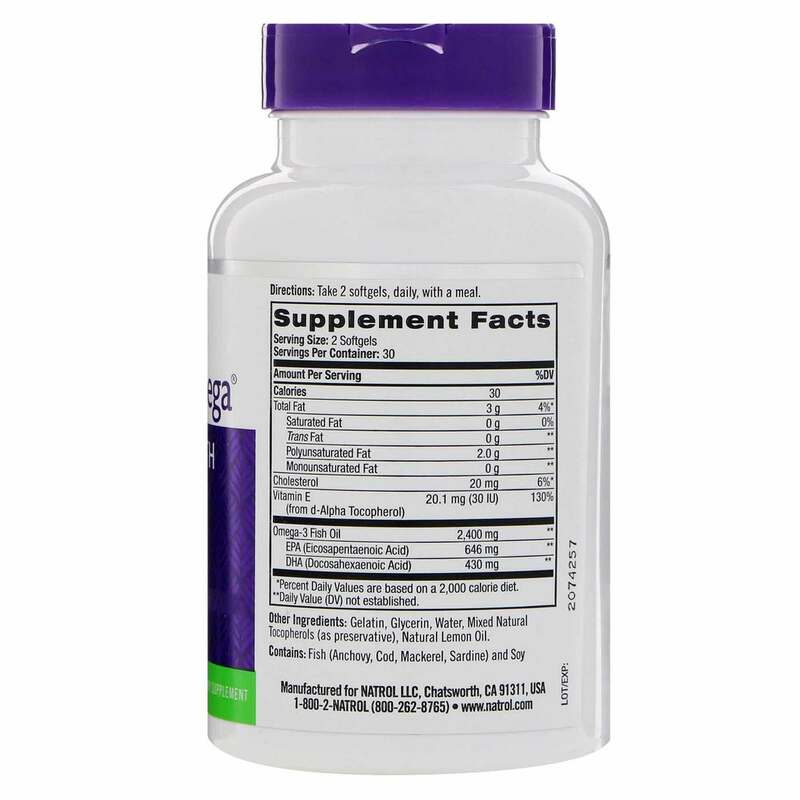 Increasing research reveals the Omega 3 fatty acids EPA and DHA help support cardiovascular health, joint health, cognitive health and may help promote balance and mood. Warnings: Consult your healthcare professional prior to use if you have or suspect a medical condition or are taking prescription drugs or are pregnant or lactating. People with allergies to fish should consult their healthcare professional before taking this product. Recommended Use: Take 1 softgel two times daily with a meal. 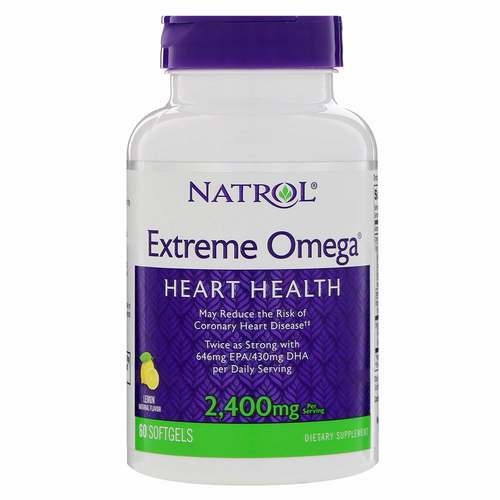 The customer reviews posted below are based on individual consumer experiences and may NOT necessarily represent what expected results will be from using or taking Natrol Extreme Omega Fish Oil - 2400 mg - 60 Softgels. These results may not be typical and you should not necessarily expect to receive the same results. Actual results may vary. Very good this Omega, has a good amount of omega in the product which generates an economy, since we do not need to take more than one per day. The brand Natrol also gives us confidence to use the Product. I think Extreme Omega Fish Oil is very effective and you begin seeing results in a short period of time. I have been using it for a little over two weeks now, and I have seen so much improvement in my skin. It's clearer, smoother and softer, with a natural glow. I was really impressed. If Extreme Omega Fish Oil is already doing so much outside, I can imagine what it's doing inside. I usually take one with breakfast and one with dinner. I would definitely recommend Extreme Omega Fish Oil. Natrol's Extreme Omega Fish Oil is the best omega 3 I've taken.